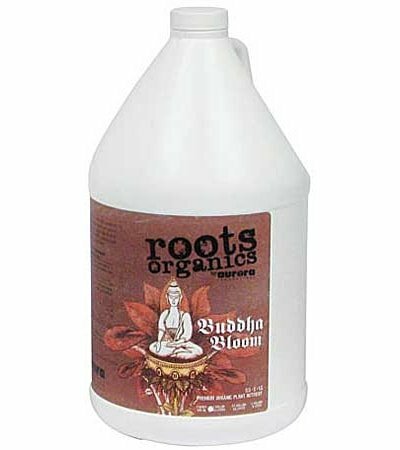 Roots Organics Buddha Bloom (0.5–2–1.5) is a one part organic flowering nutrient formulated for soil and soilless gardens. 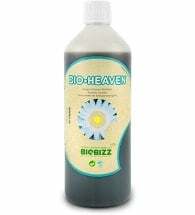 An exceptional liquid blend, this organic fertilizer is specifically created to promote vigor, increase yields and enhance quality in soil grown plants during the flowering stage of their life. Achieve excellence from your plants! Beginning Flowering Plants: 2-3 tsp (10-15 ml) per gallon combined with 1-1/3 to 1-2/3 Tbs. 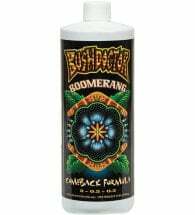 (20-25 ml) per gallon of Grow. Mature Flowering Plants: 1-2/3 to 2 Tbs. (25-30 ml) per gallon. Aggressive Flowering Plants: 2 to 2-2/3 Tbs. (30-40 ml) per gallon. 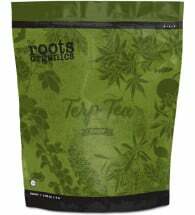 Ingredients: Bat guano, worm castings, soy protein hydrolysate, kelp extract (Ascophyllum nodosum), molasses, yucca extract. Also contains: 0.25% ….. Humic acid (derived from leonardite). Alternate watering fertilizer solution and pure water every one to two days or as plants require.